NBC has pulled the plug on Michael J. Fox Show. The network announced last night that Hollywood Game Night will shift to Thursday nights, taking over the time slots occupied for the past few months by Fox and Sean Saves th World. Despite a lovable lead, along with the presence of Betsy Brandt (Breaking Bad), The Michael J. Fox Show struggled in the ratings from its outset. And now that battle is over. The sitcom has aired 15 of its scheduled 22 episodes and there's no word on whether the final seven will ever be broadcast or not. 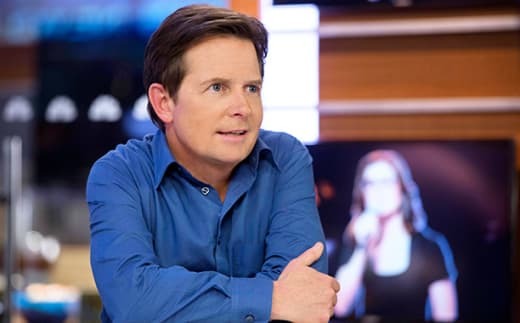 Michael J Fox Show: "Christmas"